2019 Silver 1 oz China Dragon & Phoenix - Reserve your 2019 1 oz Silver Dragon & Phoenix Dollar Restrike PU coin today. Reserve your 2019 1 oz Silver Dragon & Phoenix Dollar Restrike PU coin today. 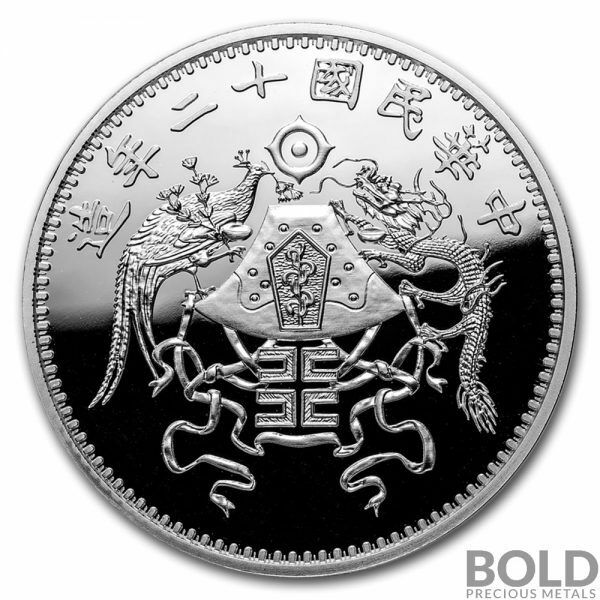 Buy the 2019 Silver 1 oz China Dragon & Phoenix Dollar Restrike PU from BOLD Precious Metals that has been raised from ashes. This one is the third release in 8-coin series featuring China’s most valuable vintage coins. Don’t delay, reserve the coin now! BOLD Precious Metals was founded in 2017 to provide a better alternative for both investors and collectors of precious metal coins and bullion.